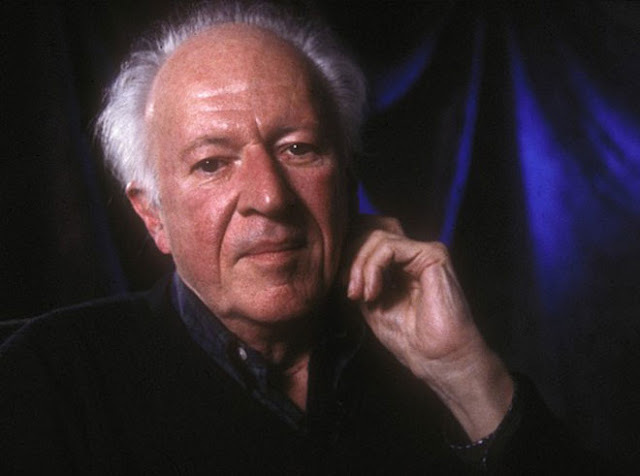 American conceptual designer Ralph McQuarrie, who worked on many of the designs and aesthetics seen in the first Star Wars trilogy, was born on this day in 1929. McQuarrie's artwork crafted the visual design of the entire Star Wars galaxy; both him and George Lucas helped to convince studios to fund the Star Wars project. In addition to the Original Trilogy, the American artists provided concept illustrations for Shadows of the Empire as well as the Ark of the Covenant featured in Indiana Jones: Raiders of the Lost Ark. McQuarrie's concept art was turned into authentic action figures in the 30th Anniversary toy series, including a concept Darth Vader, concept Starkiller hero, concept stormtrooper and concept Han and Chewbacca. 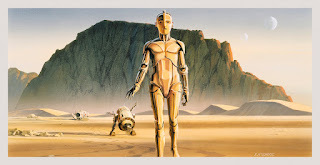 Star Wars Art: Ralph McQuarrie, a collection of McQuarrie's Star Wars artworks, was released last September. The set featured a foreword by George Lucas and included over 2,000 illustrations rephotographed from conceptual paintings, costume designs, storyboards and book covers. The concept designer has since inspired a new generation of artists, including Doug Chiang and Marc Gabbana, and is still used to help flesh out world in the Star Wars Universe, such as in Star Wars: The Clone Wars, Star Wars: Rebels and Star Wars: The Force Awakens. The artist also worked on other projects including the original Battlestar Galactica TV series and the film E.T. the Extra-Terrestrial before he passed away on March 3, 2012. 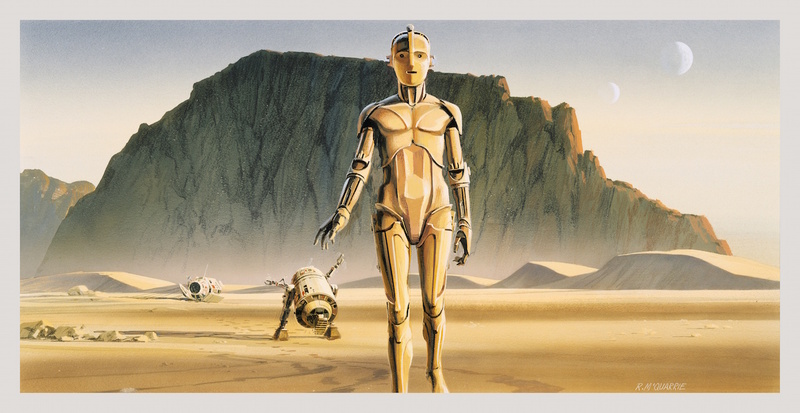 What is your favorite piece of McQuarrie's artwork in Star Wars? Let us know in the comments below.